If you own a car you want to make sure it is kept in the best condition for as long as possible. However, cars are subject to a lot of wear, especially if you are using it a lot on a daily basis. Some people like to “tune” their cars, and you are probably familiar with the process of modifying a car to improve its capacity. Well, car window tint is used in these car-enhancing processes, and this is one of the reasons why car window tint is considered by many people to be just a whim. However, car window tint provides the car with actual protection. There are clear laws upon the legal use of car tinting processes, but you can still use car window tint for your car if you live in areas such as Sunrise, Plantation, Fort Lauderdale, Broward. 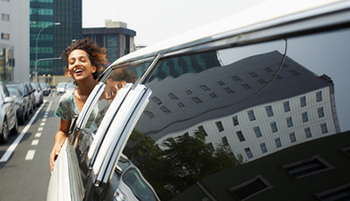 The tint protects the car from UV rays, from excessive heat, and from the attention of burglars. Therefore, it provides added comfort to your car, and can act as an extra safety measure. Nonetheless, to make sure that your car has the best car tint available that is of high quality and also abides the law, it is advised that you contact a professional company. Quality car window tinting and expert installation are available in Sunrise, Plantation, Fort Lauderdale, Broward but you can also do it at home. If you choose to have tinting done for you by a professional, you can benefit from added warranty of the product, while this won’t happen if you install the tint at home. Residential Window Tinting in Broward, Weston, Coral Springs, Fort Lauderdale, Pompano Beach, Pembroke Pines and Sunrise FL. Residential window tinting makes sense in cities throughout sunny South Florida like Weston, Coral Springs and Ft Lauderdale. Residential window tinting in Sunrise, Plantation, Fort Lauderdale and Broward is growing in popularity and there are some good reasons for this. Even inside your home you are exposed to harmful sun rays that enter through your windows and sky lights. These rays can damage upholstery, curtains, blinds and even your floors. For example hardwood floors will fade over time if they are exposed to excessive ultra-violet rays. Window tinting blocks these rays and helps to protect your valuable assets from fading and deterioration. For professional and cost effective window tinting services you should contact West Broward Tint. They provide comprehensive tinting services including residential window tinting, commercial window tinting, car window tinting, marine window tinting and more. What’s more is that they come to you and do the tinting at your home, place of work or wherever you need it done. This is convenient for you and also saves you time and money. Residential window tinting not only helps to protect the assets inside your home, it provides additional comfort by keeping your home cooler in summer and warmer in winter. This also translates to savings in energy bills as less demand is placed on your HVAC unit. Glare reduction is another big plus of window tinting. Not only can the suns glare be quite irritating and uncomfortable, it can also be damaging to your eyes. Residential window tinting also gives you more privacy without spoiling your view. One way window tinting keeps prying eyes out whilst you can still see clearly from inside your home. Tinting also strengthens your windows and can prevent the glass from shattering in the event of an accident or an explosion. Finally window tinting can look cool and add aesthetic value to your home, boat or car. 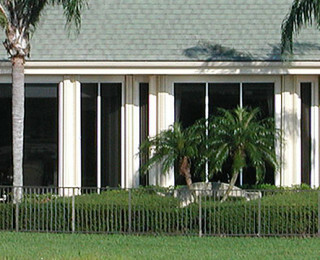 West Broward has the right window tinting solution for your home, your car, your offices, your boat or your mobile home. Residential Window Tinting in Broward, Weston, Coral Springs, Fort Lauderdale, Pompano Beach, Pembroke Pines and Sunrise FL. Posted in Blog, Residential Window Tinting, Window Tinting | Comments Off on Residential Window Tinting in Broward, Weston, Coral Springs, Fort Lauderdale, Pompano Beach, Pembroke Pines and Sunrise FL.